With an Introduction and Notes by Dr T.C.B.Cook. Count Leo Tolstoy (1828-1910) is best known for War and Peace and Anna Karenina, commonly regarded as amongst the greatest novels ever written. He also, however, wrote many masterly short stories, and this volume contains four of the longest and best in distinguished translations that have stood the test of time. 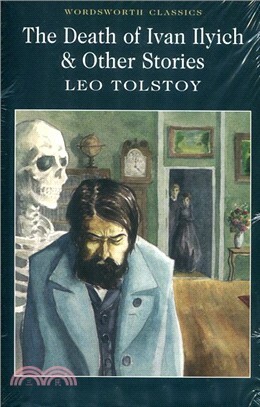 In the early story Family Happiness, Tolstoy explores courtship and marriage from the point of view of a young wife. In The Kreutzer Sonata he gives us a terrifying study of marital breakdown, in The Devil a powerful depiction of the power of sexual temptation, and, in perhaps the finest of all, The Death of Ivan Ilyich, he portrays the long agony of a man gradually coming to terms with his own mortality. This volume also includes an Introduction and Notes written specially for this Wordsworth edition by Dr Tim Cook, formely lecturer in literature at the Universities of Kingston and Ulster. Previous work contributed by Dr Cook for Wordsworth includes an introduction and notes to Charles Dickens' Nicholas Nickleby.